‘BALU’, is now an avant garde manufacturer of fully finished and semi-finished forged crankshafts. The machining of the crankshafts is done with the latest equipments, instruments, technologies and highly skilled workforce which provides exceptional control over the entire process of manufacturing the crankshafts and has made ‘Balu’ the supplier of choice of major OEM's not only in India but around the world due to our technological advantage and the highest standards of quality in the industry. 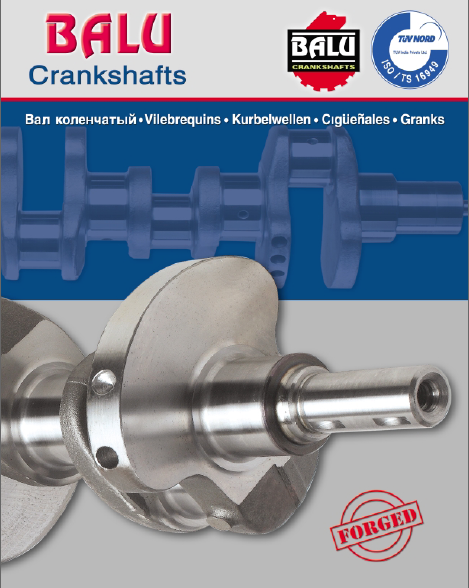 All the crankshafts are manufactured to exact O.E. specifications and on CNC Auto lines, to ensure precision at every stage. ‘Balu’ is committed to the goal of being recognized globally as a leader through engineering excellence. The group has always been at the fore-front of technology and is known for its investments in technology ahead of time. Over the years, it has been investing in creating state-of-the-art facilities, world-class capacities and capabilities. It has adopted the latest technologies in all its processes, which has helped garner significant market share globally. Today, our facilities include fully automated lines, the largest of its kind and among the best in the industry.